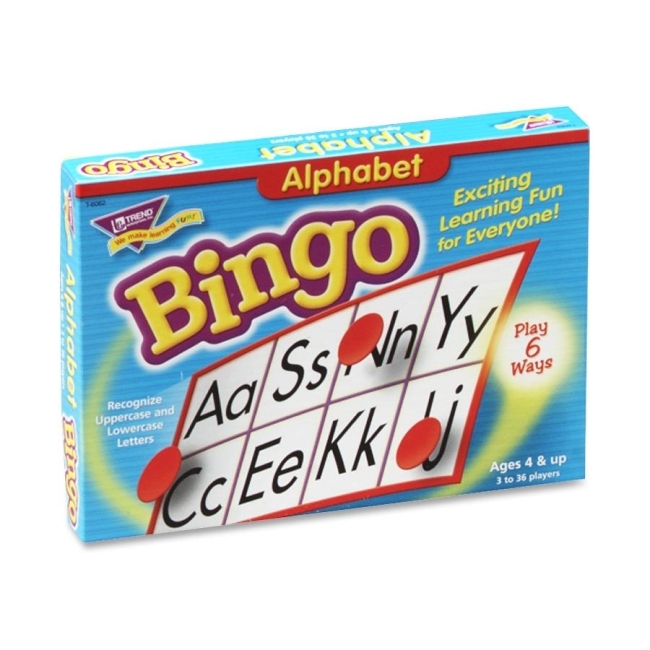 In Alphabet Bingo, players match uppercase and lowercase letter pairs to build alphabet recognition. 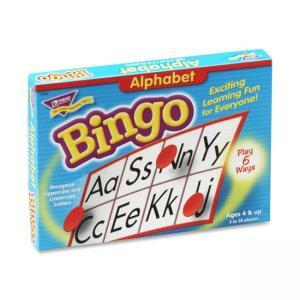 Classic learning game entertains and educates children. Format is simple. Differing skill levels can play together. Games are fast-paced. Ideal for groups of 3 to 36 players of varying ages. Each set includes callers mat, callers cards, easy-check answer sheet, 36 game boards, more than 250 markers and sturdy storage box. Ideal for groups of 3 to 36 players of varying ages.